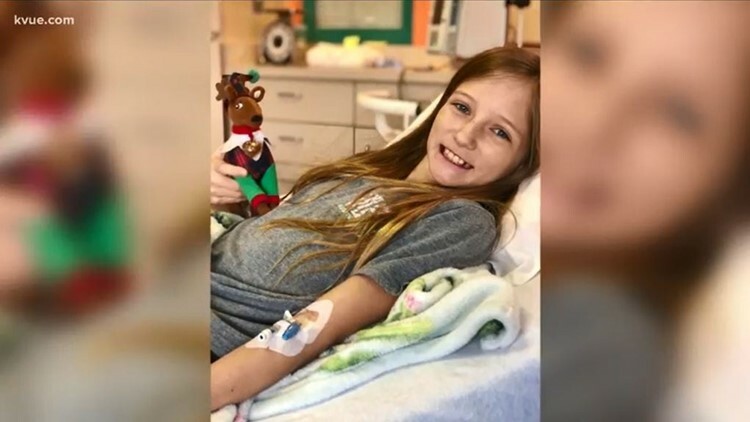 A Hays County girl who had a rare brain tumor is now cancer free, and doctors are amazed because medically it just doesn't make sense. HAYS COUNTY, Texas — A little girl’s inoperable brain tumor is gone and doctors have no explanation. Today, Roxli Doss is doing what she loves, and that’s horseback riding. "She is just as active as she ever was,” said Scott Doss, Roxli’s father. It's hard to imagine not too long ago doctors diagnosed the little girl with an inoperable brain tumor in June called diffuse intrinsic pontine glioma, or DIPG. "It is very rare, but when we see it, it is a devastating disease,” Dr. Virginia Harrod with Dell Children’s Medical Center. “You have decreased ability to swallow, sometimes vision loss, decreased ability to talk, eventually difficulty with breathing." Dr. Harrod said the now 11-year-old went through weeks of radiation, even though there is no cure. The family held a benefit for her in August, and the Buda community responded in a big way. At that point, all Gena and Scott Doss could do was pray for a miracle. “And we got it,” said Gena. “Praise God we did,” said Scott. Now, they cry tears of joy. Doctors can't explain why the tumor disappeared. "At Dell Children’s, Texas Children’s, at Dana-Farber, at John Hopkins, and MD Anderson, all agreed it was DIPG,” said Scott. From no cure to no trace, the family said now they only have God to thank. "Everyday we still say it,” said Gena. “It's kind of our family thing that God healed Roxli." “We didn't know how long she would be healthy and, look at her, she's just doing awesome,” said Scott. The parents said doctors double checked her scans just to confirm the results. Right now, they are watching her closely and she will continue to undergo treatments, such as immunotherapy, as a precaution.